Sighting in, or zeroing, a red dot scope is not much different than sighting in a regular scope. Whether the scope is on a handgun, rifle, shotgun or bow, you will need to take several shots at a target, make adjustments and repeat until you are hitting what you aim at. Set a target down range from your shooting position. Depending on the weapon you are using, the target distance may vary. 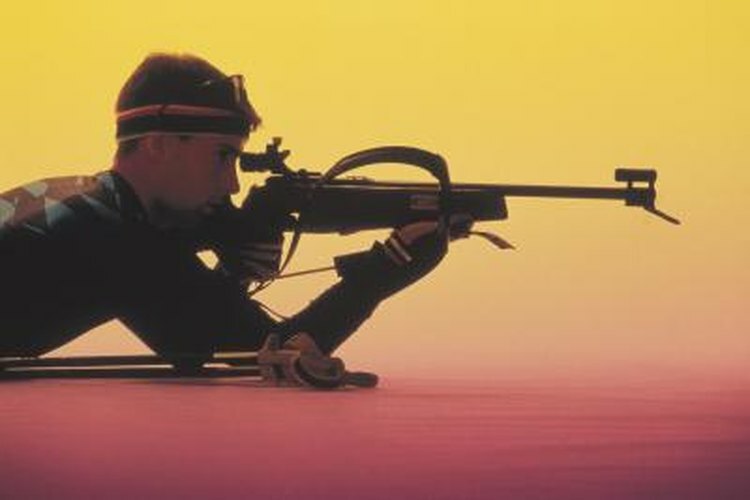 Handguns and bows are sighted closer than rifles and shotguns. Determine the range you will most often be shooting to. Load your weapon and position yourself to shoot. Be certain there is nothing beyond your target that you don't want to put a bullet or arrow into. Use a shooting bench, tripod or other means to stabilize your weapon as much as possible. Fire three or four shots at your target. As long as you are hitting an area somewhere on the target, you are in business. Aim for the same spot on the target with each shot. The important thing is to be consistent in your shots, not necessarily to hit where you are aiming. Make adjustments to the scope, per the manufacturer's directions, based on how far away from your aiming spot your shots are placing. There will be two dials on the scope to adjust it left or right and up or down. If you are shooting high of your target spot, adjust the red dot in the scope viewer down (so that you aim lower). Likewise, if you are left of the target adjust the red dot to the right. Fire three or four more shots and make any adjustments still needed. Continue this process until you are consistently putting your shots in a small group very near your aiming point. Sight in often. A sight can be knocked off zero by being jostled in it's case or from use. When using firearms, always wear eye and ear protection.